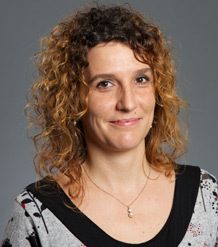 Giovanna Michelon joined the Business School in May 2013. She was formerly at the University of Padova (Italy), at the Department of Economics and Management, where she also obtained her PhD in Economics and Management. Giovanna has worked as a visiting scholar at the University of Birmingham (Birmingham, UK), Concordia University (Montreal, Canada) and University of Central Florida (Orlando, USA). She is currently serving as Editor in Chief of the EAA Accounting Research Centre, Co-Editor of Accounting Forum and a member of the CSEAR council. Giovanna’s work mainly relates to corporate social responsibility and governance and it has been published in leading academic journals such as European Accounting Review, Accounting Auditing and Accountability Journal, the British Journal of Management and the Journal of Business Ethics. Giovanna has established an excellent track record of publications on CSR and, mostly importantly, she has significantly contributed to an emerging strand on how corporate governance drives CSR. CSR is an interdisciplinary area that has been investigated across different epistemologies and methodological approaches. Giovanna has been able to combine a broad knowledge of the field (across disciplines and approaches), with solid and rigorous technical and methodological skills, thus being recognized as a leading scholar in the arena. Visit her Google Scholar Profile here. Her SSRN profile is here. Romi A., Michelon, G. and Longing S., The Impact of Cross-Sector Social Partnerships on Biodiversity Accountability: An Examination of the Corporate Response to Pollinator Decline. Michelon G, Patten D, Romi A (In Press). Creating Legitimacy for Sustainability Assurance Practices: Evidence from Sustainability Restatements. European Accounting Review Full text. DOI. Schneider T, Michelon G, Maier M (2017). Environmental liabilities and diversity in practice under International Financial Reporting Standards. Accounting, Auditing & Accountability Journal, 30(2), 378-403. Purpose – Our purpose is to encourage accounting regulators to address diversity in practice in the reporting of environmental liabilities. When Canada changed to IFRS in 2011, Canadian regulators asked the IFRS Interpretations Committee to interpret whether the discount rate to value environmental liabilities should be a risk-free one. Old Canadian GAAP and current US GAAP allow for a higher discount rate, resulting in commensurately lower environmental liabilities. International regulators refused to address this issue expecting no diversity in practice in Canada. Design/methodology/approach – the focus is on a sample of Canadian oil and gas and mining firms. These domestic industries play a major role internationally and have significant environmental liabilities. The method is empirical archival, tracking firm characteristics and discount rate choice on transition to IFRS. Findings – We show that there is significant diversity in practice. About one third of the sample firms choose a higher discount rate, avoiding a major increase in environmental liabilities on transition to IFRS. The evidence suggests that these firms had relatively larger environmental liabilities and that the discount rate decision is a strategic choice. Research limitations/implications – the sample is based on one country and may only be reflecting local anomalies that have no broader implications. Practical implications – Diversity in practice in accounting for environmental liabilities is not acceptable. Accounting regulators should act to create consistent and comparable reporting practice. Social implications – Firms and managers facing larger environmental liabilities can choose to minimize environmental liabilities under IFRS, while it is the general public and society at large that bear the ultimate risk. Originality/value – the paper pushes forward the debate on whether recognised environmental liabilities should reflect the interests of equity investors, or if other investors and stakeholders should be taken into account. Gomez-Carrasco P, Michelon G (2017). The Power of Stakeholders' Voice: the Effects of Social Media Activism on Stock Markets. Business Strategy and the Environment, 26(6), 855-872. Copyright © 2017 John Wiley. &. Sons, Ltd and ERP Environment Building on social movement theory, this study assesses the influence of social media activism on the stock market performance of targeted firms. We focus on information published on Twitter by two critical stakeholders: consumer associations and trade unions. To the extent that social media represent a valid medium to mobilize stakeholders' activism, protests on Twitter may damage firm reputation, leading to capital market reactions. Using a corpus of over 1.5 million tweets referring to Spanish listed banks, we study the impact of activism by looking at targeted firms' abnormal variations in price and trading volume. Our findings suggest that the Twitter activism of key stakeholders has a significant impact on investors' decisions. Further, our empirical analyses indicate that the mechanisms affecting investors' behavior differ depending on the characteristics of the stakeholder group. Hence, this study contributes to understanding how social movements influence corporate behavior via social media. Copyright © 2017 John Wiley & Sons, Ltd and ERP Environment. Cho CH, Michelon G, Patten DM, Roberts RW (2015). CSR disclosure: the more things change…?. Accounting, Auditing and Accountability Journal, 28(1), 14-35. © 2015, Emerald Group Publishing Limited. Purpose: Corporate social responsibility (CSR) disclosure is receiving increased attention from the mainstream accounting research community. In general, this recently published research has failed to engage significantly with prior CSR-themed studies. The purpose of this paper is threefold. First, it examines whether more recent CSR reporting differs from that of the 1970s. Second, it investigates whether one of the major findings of prior CSR research - that disclosure appears to be largely a function of exposure to legitimacy factors - continues to hold in more recent reporting. Third, it examines whether, as argued within the more recent CSR-themed studies, disclosure is valued by market participants.Design/methodology/approach: Using Fortune 500 data from the late 1970s (from Ernst & Ernst, 1978) and a more recent sample (2010), the authors identify differences in CSR disclosure by computing adequate measures in terms of disclosure breadth and comparing them for any potential changes in the influence of legitimacy factors between 1977 and 2010. In the second stage of the analysis, the authors use a standard valuation model to compare the association between CSR and firm value between the two time periods.Findings: the authors first find that the breadth of CSR disclosure increased significantly, with respect to both environmental and social information provision. Second, the authors find that the relationship among legitimacy factors and CSR disclosure does not differ across the two time periods. However, the analysis focusing on environmental disclosure provides evidence that industry membership is less powerfully related to differences in reporting, but only for the weighted disclosure score. Finally, the results indicate that CSR disclosure, in apparent contrast to the arguments of the more recent mainstream investigations, is not positively valued by investors.Research limitations/implications: the authors explore changes in CSR disclosure only for industrial firms and as such the authors cannot generalize findings to companies in other industries. Similarly, the authors focus only on companies in the USA while different relationships may hold in other countries. Further, the disclosure metrics are limited by the availability of firm-specific information provided by Ernst & Ernst. Limitations aside, however, the findings appear to suggest that the failure of the new wave of CSR research in the mainstream accounting community to acknowledge and consider prior research into social and environmental accounting is potentially troublesome. Specifically, recent CSR disclosure research published in mainstream journals often lends credence to voluntary disclosure arguments that ignore previous contradictory findings and well-established alternative explanations for observed empirical relationships.Practical implications: This paper provides supporting evidence that the unquestioned acceptance by the new wave of CSR researchers that the disclosure is about informing investors as opposed to being a tool of legitimation and image enhancement makes it less likely that such disclosure will ever move meaningfully toward transparent accountability.Originality/value: the study suggests that CSR disclosure, while used more extensively today than three decades ago, may still largely be driven by concerns with corporate legitimacy, and still fails to provide information that is relevant for assessing firm value. As such, the failure of the mainstream accounting community to acknowledge this possibility can only hinder the ultimate development of better accountability for all of the impacts of business. Michelon G, Pilonato S, Ricceri F (2015). CSR reporting practices and the quality of disclosure: an empirical analysis. Critical Perspectives on Accounting, 33, 59-78. © 2014 Elsevier Ltd. Research on CSR disclosure points to an increasing lack of completeness and decreasing amount of credibility in the information reported, as well as concerns about overall reporting practices. The aim of this paper is to investigate the (ab)use of three CSR reporting practices: the use of stand-alone reports, assurance, and reporting guidance. These practices may be the outcome of a substantive approach to CSR undertaken to carry out duties of accountability to stakeholders, or conversely they could represent symbolic actions intended to portray corporations as genuinely committed to CSR. Thus, we investigate the use of these three practices in relation to disclosure proxies that capture the quality of disclosure along three different yet complementary dimensions: the content of the information disclosed (what and how much is disclosed), the type of information used to describe and discuss CSR issues (how it is disclosed) and the managerial orientation (the corporate approach to CSR). We find that, on average, companies that use these practices do not provide a higher quality of information, which we interpret as evidence of a symbolic use of these practices. Nevertheless, for those companies providing performance-related disclosures, we obtain limited evidence indicating that disclosures by GRI followers are more likely to be balanced, comparable and precise. Overall, our evidence supports increasing scepticism about the use of CSR reporting practices as tools used to enhance perceived accountability. She C, Michelon G (In Press). Managing stakeholder perceptions: Organized hypocrisy in CSR disclosures on Facebook. Critical Perspectives on Accounting, 10.1016/j.cpa.2018.09.004 Full text. Arena C, Michelon G (2018). A matter of control or identity? Family firms' environmental reporting decisions along the corporate life cycle. Business Strategy and the Environment Full text. DOI. Schneider T, Michelon G, Paananen M (2018). Environmental and Social Matters in Mandatory Corporate Reporting: an Academic Note. Accounting Perspectives Full text. DOI. Michelon G, Pilonato S, Ricceri F, Roberts RW (2016). Behind camouflaging: traditional and innovative theoretical perspectives in social and environmental accounting research. Sustainability Accounting, Management and Policy Journal, 7(1), 2-25. © 2016, © Emerald Group Publishing Limited. Purpose – the purpose of this paper is threefold. First, it examines nuances that specific camouflaging perspectives provide to enhance traditional and widely adopted theories in social and environmental accounting. Second, within research on camouflaging, the paper stimulates multidisciplinarity and cross-fertilization by presenting recent developments in organizational theory that hold promise for enhancing our understanding of camouflaging. Finally, it discusses how the research contributions published in this special issue help advance the notion of corporate camouflaging. Design/methodology/approach – the paper makes use of an extensive literature review and discusses research implications related with the choice of theoretical framework. Findings – the idea of camouflaging may provide narrower and more refined perspective(s) that can help researchers delve deeper into their topic of interest and thereby support potentially substantive contributions to the field. Originality/value – the paper offers suggestions for future social and environmental accounting research that adopts the concepts of organized hypocrisy, organizational façades and functional stupidity into the study of organizations. Birkey R, Michelon G, Patten DM, Sankara J (2016). Does Assurance on CSR Reporting Enhance Environmental Reputation? an Examination in the U.S. Context. Accounting Forum Full text. DOI. Michelon G, Bozzolan S, Beretta S (2015). Board monitoring and internal control system disclosure in different regulatory environments. Journal of Applied Accounting Research, 16(1). Full text. Michelon G, Vourvachis P (2015). Book Review. The International Journal of Accounting, 50(1), 102-105. DOI. Bozzolan S, Fabrizi M, Mallin CA, Michelon G (2015). Corporate Social Responsibility and Earnings Quality: International Evidence. International Journal of Accounting, 50(4), 361-396. © 2015 University of Illinois. In this paper, we investigate whether the corporate social responsibility (CSR) orientation of a firm affects its reporting incentives, in terms of the trade-off between real earnings management (REM) and accrual-based earningsmanagement (AEM). Furthermore, relying on previous literature on the relationship between legal enforcement and the trade-off between AEM and REM, we consider whether the CSR orientation plays a moderating role in this relationship. We base our study on a sample of 5,863 firm-year observations for 1,141 unique firms, covering 24 different countries over the period 2003-2009. We find that CSR-oriented firms are less likely to engage in REM than in AEM. Moreover, we document that in strong legal enforcement countries, incentives to use REM instead of AEM are significantly lower in companies with a high CSR orientation than in companies with a low CSR orientation. These findings are consistent with the expectation that CSR-oriented companies are less likely to engage in the more costly but harder to detect earnings management strategy, i.e. the strategy that alters the underlying real operations of the company (REM). We provide additional evidence for our arguments that CSR-oriented firms are more likely to give up REM than AEM because of its detrimental value on future performance. All together our evidence suggests that CSR orientation acts as a constraint for REM and in doing so it contributes to the creation of value for all stakeholders. Motivated by the increasing popularity and attention shareholder proposals on corporate social responsibility (CSR) attract, the purpose of this study is to provide a detailed portrayal of shareholders' demands for CSR through their proposals. To this end, we conduct a descriptive longitudinal study of the CSR proposals submitted to US corporations for the fiscal years 1996–2009. We use a unique coding process in which we identify both the CSR area of concern to the shareholders and the desired effect the proposal is intended to stimulate on the corporation. Our findings expose how shareholders engage with corporations mostly around the issues of governance and environment, requesting more transparency from the companies but also improved actions or business decisions. Firms from a wide range of industries are targeted, with their levels of CSR performance, profitability and size attracting different kinds of requests in terms of CSR areas and expected outcomes for the corporation. Shareholders can be relatively intense in their requests for CSR, with the majority of firms in our sample being targeted with more than one proposal annually. Our study deepens our understanding of shareholders' concerns and requests for improvements in CSR. Bozzolan S, Cho C, Michelon G (2015). Impression Management and Organizational Audiences: the Fiat Group Case. Journal of Business Ethics, 126(1), 143-165. Cho CH, Michelon G, Patten DM, Roberts RW (2014). CSR report assurance in the USA: an empirical investigation of determinants and effects. Sustainability Accounting, Management and Policy Journal, 5(2), 130-148. Purpose: the authors aims to examine, first, what factors appear to lead those US companies that do obtain assurance on their CSR reports to do so, and second, whether this assurance appears to be valued by market participants. Design/methodology/approach: the authors use logistic regression analysis to determine what factors explain the choice to seek assurance. For the second stage of the analysis, the authors rely on Aboody et al. 's market valuation model to examine the association between CSR report assurance and firm value. Findings: the authors find that industry membership and disclosure extensiveness both appear to influence the choice to attain third-party assurance on CSR reports in the USA. However, the results also indicate that the assurance is not associated with higher market value for report-issuing companies. Research limitations/implications: the authors examine only large firms and limit the investigation to a single year. Further, the authors do not examine market valuation effects where a broader stakeholder orientation might influence these relations. Practical implications: the results suggest that improving the incidence of CSR report attestation in the USA may require efforts from the assurance community to better identify the potential benefits of the practice. Originality/value: This is the first study to focus on CSR report assurance in a setting where country-level influences appear to limit adoption of the practice. As such, the findings are potentially important for understanding both the low incidence of assurance and what might be necessary to increase its use. © Emerald Group Publishing Limited. Sarrica M, Michelon G, Bobbio A, Ligorio S (2014). Employer branding in nonprofit organizations. An exploration of factors that are related to attractiveness, identification with the organization, and promotion: the case of emergency. TPM - Testing, Psychometrics, Methodology in Applied Psychology, 21(1), 3-20. This paper explores the application of the Employer Branding model in nonprofit organizations. We focus on attributes of the organization that may affect its attractiveness, identification with the organization, and promotion. We conducted a questionnaire-based survey on actual and potential aidworkers from Emergency, an Italian charity that offers free medical assistance to war victims. The questionnaire included measures of organizational identification, attractiveness, symbolic and instrumental attributes and intentions to promote the organization. Results showed that the attractiveness of the organization depended on symbolic rather than instrumental attributes. Unlike previous research on Employer Branding, however, instrumental attributes did not influence the attractiveness of the organization and, additionally, decreased promotion. These findings may contribute to extending the Employer Branding model by including a psychosocial perspective and also suggest important management implications for nonprofit organizations. ©2014 Cises. Arena C, Bozzolan S, Michelon G (2014). Environmental reporting: transparency to stakeholders or stakeholders’ manipulation? an analysis of disclosure tone and the role of board of directors. Corporate Social Responsibility and Environmental Management Full text. DOI. How Do Strengths and Weaknesses in Corporate Social Performance Across Different Stakeholder Domains Affect Company Performance? The existing research on corporate social responsibility (CSR) has largely focused on the positive aspect of corporate social performance (CSP) and company performance (CP) and ignored the relationship between actions that would qualify as negative CSP (or weakness in CSP) towards a stakeholder group and company performance. Using data from the KLD collected over a three-year period, this study examines the relationship between both CSP weaknesses and strengths and CP across individual stakeholder domains. Results of the study suggest that strengths in CSP related to primary stakeholder domains are associated with superior company performance. However, this relationship is tenuous, at best, in the case of the secondary stakeholder domain. As for weaknesses in CSP, the results suggest that if a firm performs poorly in meeting the expectations of one or more stakeholders it is penalized in the form of poor performance. This finding generally holds true for both primary and secondary stakeholders. Implications of these findings for public policy and businesses planning to address social issues are discussed. Cugini A, Michelon G, Pilonato S (2014). In search of academic excellence with the strategy map: Analysis of an italian case study. International Journal of Business Performance Management, 15(1), 1-22. Notwithstanding a growing interest in performance management systems for universities, little is known about their application to academic departments, public institutions dedicated to research. The purpose of the paper is the exploration of a specific performance measurement model - the balanced scorecard strategy map - which is suitable for the particular features of an academic department. The paper uses a qualitative methodology to identify the dimensions of the performance measurement and proposes a set of goals and measures. The paper extends the customer perspective by considering a wider system of stakeholders and emphasises the strategic role of the financial dimension as a driver for achieving the mission. Copyright © 2014 Inderscience Enterprises Ltd.
Boesso G, Favotto F, Michelon G (2014). Stakeholder prioritization, strategic corporate social responsibility and company performance: further evidence. Corporate Social Responsibility and Environmental Management Full text. DOI. Fabrizi M, Mallin C, Michelon G (2014). The Role of CEO’s Personal Incentives in Driving Corporate Social Responsibility. Journal of Business Ethics, 124(2), 311-326. © 2013, Springer Science+Business Media Dordrecht. In this study, we explore the role of Chief Executive Officers’ (CEOs’) incentives, split between monetary (based on both bonus compensation and changes in the value of the CEO’s portfolio of stocks and options) and non-monetary (career concerns, incoming/departing CEOs, and power and entrenchment), in relation to corporate social responsibility (CSR). We base our analysis on a sample of 597 US firms over the period 2005–2009. We find that both monetary and non-monetary incentives have an effect on CSR decisions. Specifically, monetary incentives designed to align the CEO’s and shareholders’ interests have a negative effect on CSR and non-monetary incentives have a positive effect on CSR. The study has important implications for the design of executive remuneration (compensation) plans, as we show that there are many levers that can affect the CEO’s decisions with regard to CSR. Our evidence also confirms the prominent role of the CEO in relation to CSR decisions, while also recognizing the complexity of factors affecting CSR. Finally, we propose a research design that takes into account endogeneity issues arising when examining compensation variables. Boesso G, Kumar K, Michelon G (2013). Descriptive, instrumental and strategic approaches to corporate social responsibility: Do they drive the financial performance of companies differently?. Accounting, Auditing and Accountability Journal, 26(3), 399-422. Descriptive, instrumental and strategic approaches to corporate social responsibility: Do they drive the financial performance of companies differently? Purpose: the purpose of this study is to investigate whether the descriptive, instrumental, and strategic approaches to corporate social responsibility (CSR) are related to corporate performance (CP) and to determine the nature of this relationship, if any. Design/methodology/approach: Using data collected by KLD Research Analytics and Global Reporting Initiative (GRI), the study examines the association between companies' choice of approaches to the CSR and CSR-CP relationship. Findings: Results of this study indicate that each of the three approaches to CSR - descriptive, instrumental, and strategic - are associated with CP, but in different ways. While the instrumental approach to CSR has a positive association with short-term measures of CP, the strategic approach is associated with short-term and medium-term measures of CP, and the descriptive approach has no definite association with CP at all. Originality/value: This study integrates the prevailing justifications for CSR with the taxonomy of approaches to CSR - instrumental, descriptive and strategic - suggested in the literature. It has been argued that these frameworks influence managers' conception of what constitutes effective stakeholder management and make a difference in how decision makers in an organization think and act in crafting the company's social initiatives and in deciding what the company aims to achieve through these initiatives. By examining the association between companies' approaches to CSR and stakeholder management of the CSR-CP relationship, the study offers another perspective of the ongoing debate in the social accounting literature about the accountability relationships between business and society. © Emerald Group Publishing Limited. Michelon G, Boesso G, Kumar K (2013). Examining the Link between Strategic Corporate Social Responsibility and Company Performance: an Analysis of the Best Corporate Citizens. Corporate Social Responsibility and Environmental Management, 20(2), 81-94. Using KLD data on the performance of 188 companies over a three-year period in seven areas of corporate social responsibility (CSR) - environment, community, corporate governance, diversity, employee relations, human rights, and product quality - this study examines whether CSR initiatives have a greater impact on company performance (CP) if the company prioritizes the CSR issues that matter most to it and approaches CSR initiatives in a strategic way, than if it approaches them based on generic rationale unrelated to the company's strategy. The results show that when a company pursues CSR initiatives that are linked to stakeholder preferences and allocates resources to these initiatives in a strategic way, the positive effect of its CSR initiatives on CP strengthens in terms of both market-based and accounting-based measures of performance. However, this relationship was not observed across the board for all of the seven areas of CSR. The main conclusion of this study is that companies need to link their CSR initiatives to the likely preferences of their stakeholders and undertake the corporate social actions that are relevant to the company's strategy. © 2012 John Wiley & Sons, Ltd and ERP Environment. Michelon G, Pilonato S, Cugini A (2013). Innovating accounting practices in rail transport companies. Journal of Applied Accounting Research, 14 Full text. Mallin C, Michelon G, Raggi D (2013). Monitoring Intensity and Stakeholders' Orientation: How Does Governance Affect Social and Environmental Disclosure?. Journal of Business Ethics, 114(1), 29-43. The aim of the paper is to investigate the effects of the corporate governance model on social and environmental disclosure (SED). We analyze the disclosures of the 100 U.S. Best Corporate Citizens in the period 2005-2007, and we posit a series of simultaneous relationships between different attributes of the governance system and a multidimensional construct of corporate social performance (CSP). We consider both the extent and the quality of SED, with the purpose of identifying increasing levels of corporate commitment to stakeholders and shedding some light on whether SED is used as a signal or rather as a legitimacy tool. Our empirical evidence shows that the stakeholders' orientation of corporate governance is positively associated with CSP and SED. On the other hand, we do not find support for the monitoring intensity of corporate governance being negatively associated with social performance. We also find that CSP in the "product" dimension is positively associated with the extent and quality of SED whilst CSP in the "people" dimension is negatively associated with the extent and quality of SED. At a time when shareholders and stakeholders share more common aspects in their relationships with firms, this is a significant area to explore and this research fills an important lacuna in this respect. © 2012 Springer Science+Business Media B.V.
Bozzolan S, Imperatore C, Giovanna M (2013). Sistemi di controllo interno e qualita' dell'informativa contabile. Evidenze dalle principali societa' quotate europee. Economia & Management, 83-102. Cho C, Costa E, Michelon G (2013). Special Forum on "Social and Environmental Accounting and Accountability". Financial Reporting, 2013/2(2), 5-8. Cho CH, Michelon G, Patten DM (2012). Enhancement and obfuscation through the use of graphs in sustainability reports: an international comparison. Sustainability Accounting, Management and Policy Journal, 3(1), 74-88. Purpose: the purpose of this paper is to investigate the use of graphs in corporate sustainability reports and attempt to determine, first, whether the use of graphs appears to be associated with attempts at impression management, and second, whether differences across three levels of reporting regulatory structure are associated with differences in the level of impression management. Design/methodology/approach: Based on a sample of 120 sustainability reports issued by firms from six different countries, the authors empirically test for differences in presentation of favourable, as opposed to unfavourable, items (enhancement) and for differences in the direction of materially distorted graphs (obfuscation). Findings: for the overall sample, substantial evidence was found of both enhancement and obfuscation in the graph displays. Also, more limited evidence was found that impression management differs across companies facing different regulatory structures. Research limitations/implications: the authors investigate graph use for only one year's reports and for a sample of large companies from only six different countries. Further, the enhancement findings are not evidence that the companies are necessarily providing misleading information. However, the results show that the way information is being provided in corporate sustainability reports appears to be manipulated by the firms to enhance a positive image and to obfuscate negative trends. The reports may thus be less about increasing corporate accountability across the social and environmental domains than about managing impressions. Hence, it may be beneficial for advocate organizations, such as the Global Reporting Initiative, to provide additional guidance on "how" information gets portrayed in sustainability reports. Originality/value: the paper expands prior research into corporate manipulation of graphs to the domain of sustainability reporting and adds further evidence that the reporting needs to be carefully assessed. © Emerald Group Publishing Limited. Cho CH, Michelon G, Patten DM (2012). Impression management in sustainability reports: an empirical investigation of the use of graphs. Accounting and the Public Interest, 12(1), 16-37. The purpose of this paper is to investigate whether firms use graphs in their sustainability reports in order to present a more favorable view of their social and environmental performance. Further, because prior research indicates that companies use social and environmental disclosure as a tool to reduce their exposure to social and political pressures (the legitimacy argument), we also examine whether differences in the extent of impression management are associated with differences in social and environmental performance. Based on an analysis of graphs in sustainability reports for a sample of 77 U.S. companies for 2006, we find considerable evidence of favorable selectivity bias in the choice of items graphed, and moderate evidence that where distortion in graphing occurs, it also has a favorable bias. Our results regarding the relation between impression management and performance are mixed. Whereas we find that graphs of social items in sustainability reports for companies with worse social performance exhibit more impression management, no significant relation between environmental performance and impression management in the use of environmental graphs is found. Overall, our results provide additional evidence that corporate sustainability reporting, as it currently exists, appears to be more about fostering positive public relations than providing a meaningful accounting of the social and environmental impacts of the firm. © 2012 American Accounting Association. All rights reserved. Michelon G (2012). The Nature, Use and Impression Management of Graphs in Social and Environmental Accounting. Social and Environmental Accountability Journal, 32(1), 46-47. Michelon G, Parbonetti A (2012). The effect of corporate governance on sustainability disclosure. Journal of Management and Governance, 16(3), 477-509. Drawing on stakeholder theory, this paper examines the relationship of board composition, leadership and structure on sustainability disclosure. We discuss that good corporate governance and sustainability disclosure can be seen as complementary mechanisms of legitimacy that companies may use to dialogue with stakeholders. Specifically we claim that, as disclosure policies emanate from the board of directors, sustainability disclosure may be a function of the board attributes: we investigate the relationship between different characteristics of the board and sustainability disclosures among US and European companies. Our results show that in order to explain the effect of board composition on sustainability disclosure we need to go beyond the narrow and traditional distinction between insider and independent directors, focusing on the specific characteristics of each director. © 2010 Springer Science+Business Media, LLC. Mallin CA, Michelon G (2011). Board reputation attributes and corporate social performance: an empirical investigation of the US Best Corporate Citizens. Accounting and Business Research, 41(2), 119-144. The aim of the paper is to investigate the relationship between board reputation and corporate social performance. Specifically, we claim that corporate social performance may be a function of board attributes and we investigate the association between board reputation - in terms of board composition, competence, diversity, leadership, structure and links with the external environment - and the social performance of firms, after controlling for other companyspecific characteristics. In order to explore such a relationship, we analyse the association between corporate social performance and board reputation of the Business Ethics 100 Best Corporate Citizens over the period 2005-2007. Data on corporate social responsibility are collectedfrom the KLD's SOCRATES database, which is derived from multiple sources and is not dependent upon corporate self-reporting. Data on board reputation are hand-collected from corporate reports and proxy statements. Our empirical evidence shows that the proportions of independent, community influential and female directors are positively associated with corporate social performance, while the presence of a corporate social responsibility (CSR) committee is positively associated with community performance. In contrast, we find that CEO duality and community influential directors with multiple directorships have a negative effect on corporate social performance. © 2011 Taylor & Francis. Beretta S, Bozzolan S, Michelon G (2011). La disclosure sul sistema di controllo interno come meccanismo di monitoraggio: evidenze empiriche da differenti contesti istituzionali. Management Control, 1(1), 125-149. I sistemi di controllo interno (SCI) orientano l’azione del management e contribuiscono alla protezione degli interessi degli investitori (e degli altri stakeholder). La natura di meccanismi di governo interni all’organizzazione, tuttavia, impedisce la diretta osservazione dei SCI da parte degli investitori, i quali possono maturare un proprio giudizio sulla qualità della loro struttura e l’efficacia del loro funzionamento solo attraverso la diffusione di informazioni fornite dal management. La teoria dell’agenzia offre un’utile prospettiva di indagine, suggerendo che il management avrà maggiori incentivi alla disclosure sui SCI quanto più deboli sono i meccanismi di governo aziendale. In particolare questo lavoro indaga in merito alla esistenza di un rapporto di sostituzione fra disclosure sui SCI ed altri meccanismi di monitoring riconducibili in essenza alla struttura proprietaria dell’impresa ed alla composizione dei massimi organi di governo aziendale. L’ipotesi di sostituzione viene esaminata in differenti contesti istituzionali attraverso l’analisi della disclosure sui SCI di 160 società europee quotate su quattro differenti mercati finanziari (Londra, Parigi, Francoforte, Milano) per il triennio 2003- 2005. Le evidenze raccolte e le analisi condotte testimoniano l’esistenza di tale rapporto di sostituzione, contribuendo a chiarire le logiche di utilizzo discrezionale della disclosure da parte del management. Cugini A, Michelon G, Pilonato S (2011). Performance measurement in academic departments: the strategy map approach. Public Money and Management, 31(4), 271-278. This article describes the implementation of the balanced scorecard (BSC) strategy map in a university department. The department is a good example of a complex public sector service organization-therefore the article has relevance beyond universities. The strategy map was found to be an extremely good way of measuring performance. In addition, the BSC/strategy map helps in monitoring and building departmental mission and goals and the authors recommend wider use. © 2011 CIPFA. Michelon G (2011). Sustainability disclosure and reputation: a comparative study. Corporate Reputation Review, 14(2), 79-96. Drawing on legitimacy theory, we discuss that a company's reputation is a determinant of sustainability disclosure. Specifically, we consider the concept of reputation into three dimensions for analysis: commitment to stakeholders, financial performance and media exposure. This paper differs from previous social and environmental reporting studies in that it investigates both internal and external contextual factors that influence disclosure practice. We claim that companies with a good financial performance, which are adopting an active strategic position towards stakeholders and which are exposed to significant public pressure, are more likely to use sustainability disclosure in order to communicate their legitimacy to operate to stakeholders. Moreover, the paper analyses a wide range of corporate reports for their social and environmental content using an international sample that allows for a comparison of disclosure practices among Continental European, UK and US companies. Our results show that both commitment to stakeholders and media exposure are positively associated with sustainability disclosure. Moreover, we find evidence that the drivers of disclosure vary by information type. © 2011 Macmillan Publishers Ltd.
Boesso G, Michelon G (2010). The effects of stakeholder prioritization on corporate financial performance: an empirical investigation. International Journal of Management, 27, 470-496. Michelon G, Boesso G (2009). Approccio strategico alla responsabilita' sociale d'impresa e performance finanziaria: un'analisi delle best corporate citizens. Financial Reporting, 121-154. Cugini A, Michelon G, Pilonato S (2009). La misurazione dei costi nelle aziende di trasporto ferroviario: dal costo delle attivita' al costo della corsa. Management delle Utilities, 14-28. Cugini A, Michelon G (2009). La misurazione della performance nei dipartimenti universitari. Economia & Management, 9-19. Cugini A, Michelon G (2008). La misurazione dei costi orientata alla customer profitability in un'azienda di servizi b-to-b: il caso CIM Italia. Finanza Marketing e Produzione, 26, 101-132. Boesso G, Kumar K, Michelon G (2015). Strategic and proactive corporate social responsibility. In Nejhati M, Amran A, Quazi A (Eds.) Corporate Social Responsibility and Sustainability: Contemporary Perspectives, Pearson, 65-80. My main teaching goal is not just to make students understand the topics covered by the course, but also to involve them in the reasoning behind various issues and make them feel passionate about the subject. That is, I do not only teach contents, but also methods, ways of thinking and reasoning, push students to be critical and curious. What I really like students to learn is not just the “rule” or the “principle” or “topic” per se, I like to push them to deeper and greater reasoning. It is helping them developing a critical thinking attitude that makes the difference in problem solving situations.